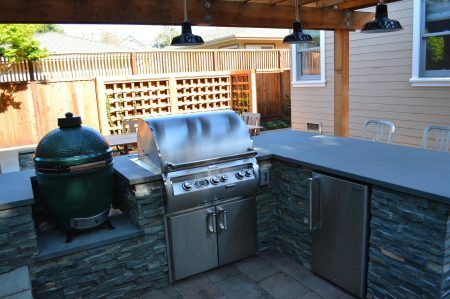 Building an outdoor kitchen presents as many options and challenges as constructing a conventional kitchen. 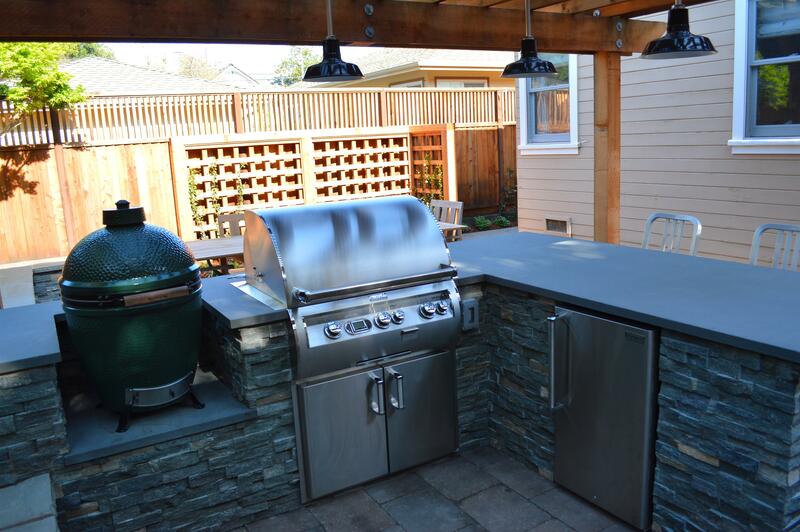 Unfortunately, this can also bring outdoor kitchens into the same budget range as a regular kitchen. One potential solution is to use prefabricated modular island units and components to reduce costs, in place of expensive custom built islands and masonry. Danver Outdoor Kitchens: Danver (also sold as Jordan Brown Kitchens) offers the most choice and cabinet options of any modular system. With customizable cabinets and a full range of appliances there is a solution for almost any desired configuration. Challenger Designs: Offers several different modular island designs with a clean modern look. Gensun: In addition to a full line of outdoor furniture, Gensun also has some interesting islands, with a full range of colors and detailing options. 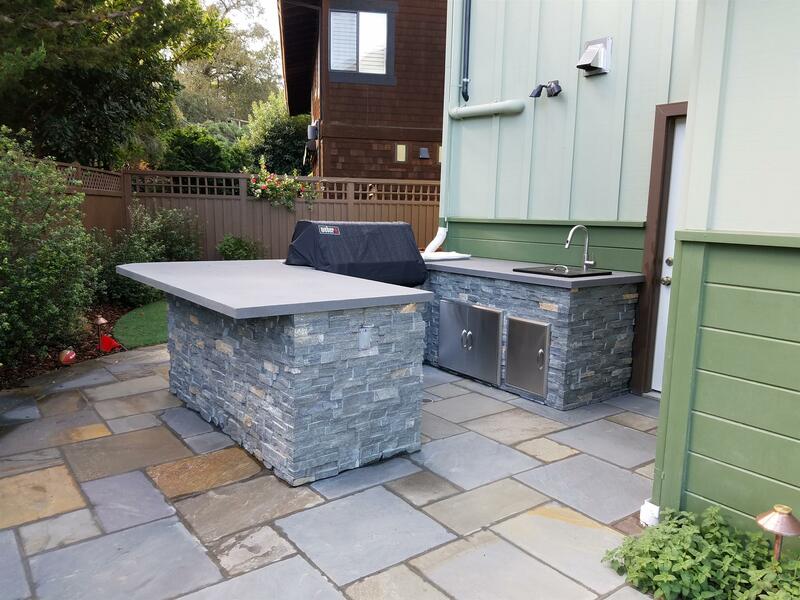 DCS: Appliance maker DCS offers their Liberty Island as a modular outdoor kitchen solution. Their system does not offer much customization, but you can get a full kitchen island at a competitive price including appliances. Below are a couple of our recent custom island installations featuring bluestone countertops and stone veneered masonry islands.